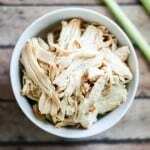 Lemongrass Chicken in the Slow Cooker for Tacos and Other Recipes! 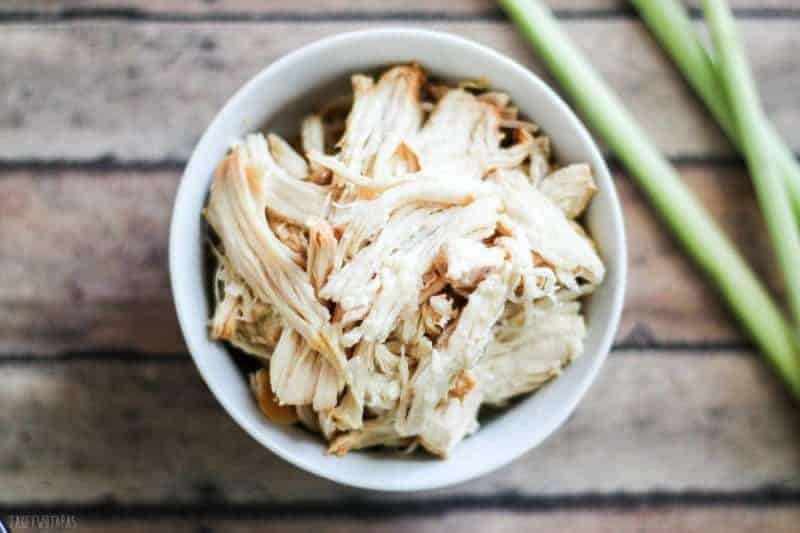 Prepare slow cooker lemongrass chicken with minimal effort and have lots of shredded meat on hand for your next recipe. This chicken has a hint of garlic and the subtle flavor of citrus thanks to the lemongrass! Three months is a long time to go without a slow-cooker, especially for a busy mom. You might have read that I lost mine in a horrific jelly-making adventure called Sweet and Spicy Four Pepper Jelly Sauce. I broke down and finally bought one. My shiny new slow-cooker creates magic with this recipe and the lemongrass to make lemongrass chicken. I know that I will probably get lots of comments about making my kids eat what I prepare and not being a short-order cook, but the truth is, with a husband that travels quite a bit, I would rather make a few different things and spend time with my kids talking instead of fighting. I love to cook, so spending extra time in the kitchen is not a bone of contention for me. Plus, my kids join me there and I am teaching them to prepare their own meals, so they won’t starve once I kick them out. Enough soap box nonsense. I know there are busy moms that need an easy way to prepare meat for dinner and most of them turn to the slow-cooker. 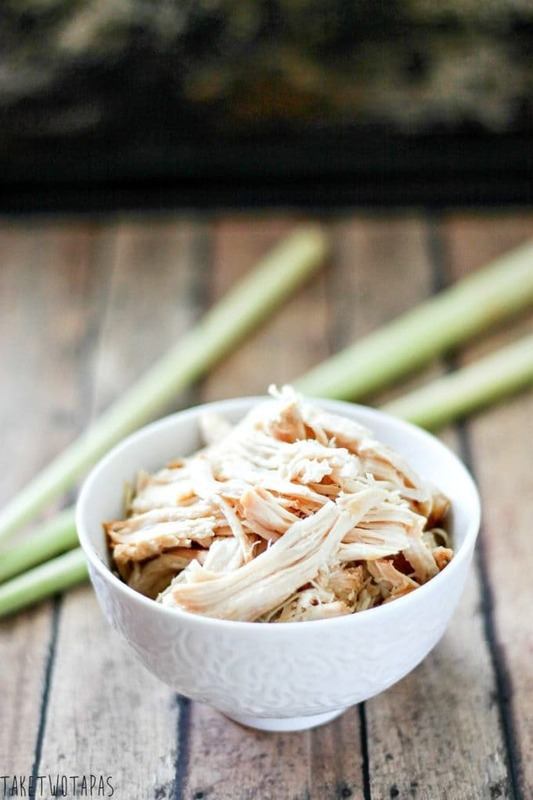 There are plenty of crock pot chicken recipes out there! Search Google and you will find many. Just so you know ahead of time, this recipe is not a complete meal. This is a way to make future dishes easier. Soup dishes, casseroles, stews are great ways to use it! Don’t feel these are your only options as this chicken can be used for your upcoming party too! Think of all the party appetizers you can make with this moist and citrus-flavored lemongrass chicken. Tacos, nachos, puff pastry squares, even a dip! The options are endless. If you haven’t heard of lemongrass before, let me tell you a bit about it. Of course, you can always Google it or search Wikipedia. Lemongrass is a herb that is widely used in Asian cuisine and imparts a bright, citrus flavor to anything you cook it with. You can use it to make tea, curries, and it’s cousin, citronella, is used to repel insects. It comes in a stalk and is looks a little bit like a skinny leek. For this lemongrass chicken recipe, I trimmed the root off and removed the woody tops. I then smashed the stalks to break the cell walls and release the oils. This really brings out the flavor when you cook with it. Much like the zest of the lemon, you must scrape it to get the oils flowing. I took the stalks and banged them against the counter to “smash” them. You can also use a mallet if you want, but I like smashing them against the counter. Relieves stress. The stalks stay intact, but the oils inside released. Once I was done cooking the chicken, I just removed the lemongrass and the garlic cloves and discarded them. Removed the chicken and let it cool before shredding it. I then strained the broth and saved if for a soup that I will make in my new slow-cooker in the very near future! This slow-cooker chicken recipe only has 4 ingredients and will make tasty, moist chicken that you can store away for a busy day! Minimal effort and you can have meat for a variety of dishes ready to go! Turn on low and cook for 8 hours. When finished, remove the chicken and cool. Shred chicken and use right away or store in the freezer for another dish. This chicken recipe is great on tacos or in stir fry! 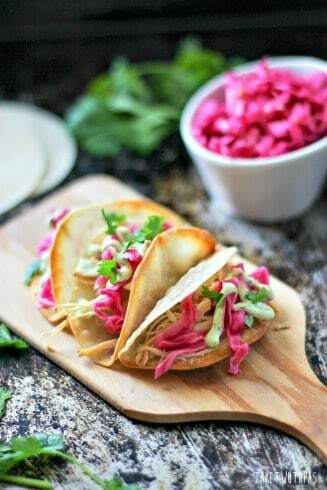 I made it for my Mini Asian Tacos with Pickled Red Cabbage and Cilantro Avocado Sauce with Ginger! « Dark Chocolate Peanut Butter Cups – Homemade is Better! Thanks Gwen! I hope you like it! I am with you on the slow cooker. Mine is always handy, and I reach for it often–even in hot weather months. So versatile, and it allows me to multi-task–making dinner AND doing other things on my to-do list! :o) I love the lemongrass in this recipe. What a wonderful flavor to add! Thank Dee Dee! I am excited that I have one just in time for soup season! I am so glad that I have a new one because it is getting a workout! Rice noodles sounds so good! I will have to try that one! We have a lemongrass plant that grows like a weed. It is huge. Love finding new uses for it. This sounds so good! I can only imagine how good the house will smell while it’s cooking! You can certainly smell the lemongrass all throughout the house. Almost like a delicious air freshener! This just looks lovely! I can see using it for all kinds of recipes and wraps! Thanks! I am certainly using it quite often. I even put it in an omelette this past weekend! Oh Jennifer I’m happy someone else is like me. I make a few different options for supper as well. My kids get home from school and automatically want to eat. So they get supper at 5. I on the other hand refuse to eat that early because I would eat 2 dinners then. So I make usually 2 different meals. My crockpot also gets quite the workout, absolutely love the thing. I have never tried lemongrass, this looks great! Thanks for sharing with us at #ThrowbackThursday hope to see you this week! I gave up trying to be that mom a long time ago. 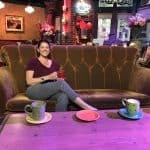 My hubby travels so I do what works for me. I am ok with it so I don’t mind. We really eat a lot of tapas style stuff anyway:) Thanks for having a great party! This is such a fantastic use for lemongrass (which I love!)! And I love any chicken dish in the slow cooker! Yum! Thanks! I got all my Paleo friends hooked on it! I have never used fresh lemongrass. I know a little guy who would love to help me bang the stalks to release the oils though! I am glad you got a new slow cooker, they are must haves for busy moms! I have already cooked three meals a week in it! My kids like to bang the stalks for me. Anything to get them involved!